What I Got for Christmas and GIVEAWAY! Hello everyone! I wanted to share with you a couple of the gifts that I got for Christmas that meant the most to me. I find it unnecessary to share EVERYTHING I got for Christmas because I KNOW you don’t wanna read about the car fresheners or flavored Goody powders in my stocking! ;) I will spare you! First up! 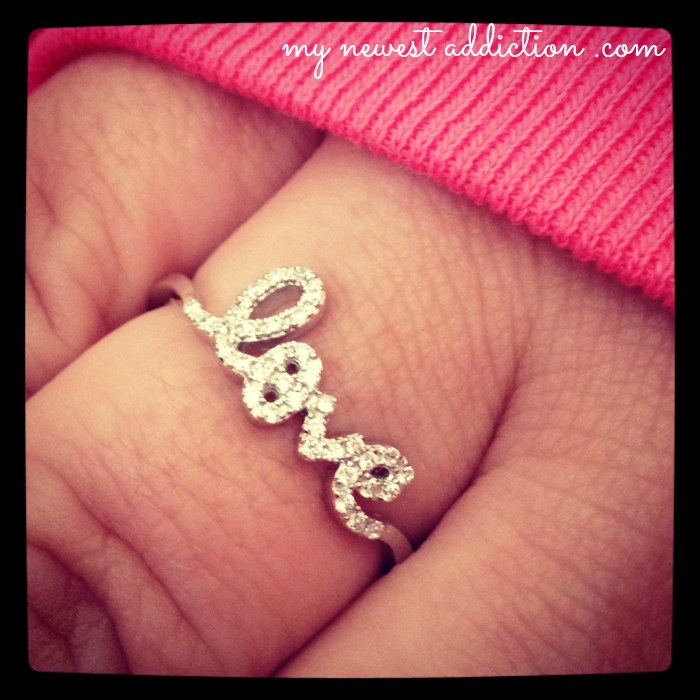 I have been wanting Sydney Evans Love Ring FOREVER! I showed my husband the ring in November in hopes he would take the hint. Well, HE DID! I was ecstatic when I opened it! I think I scared my children with my scream of elation. 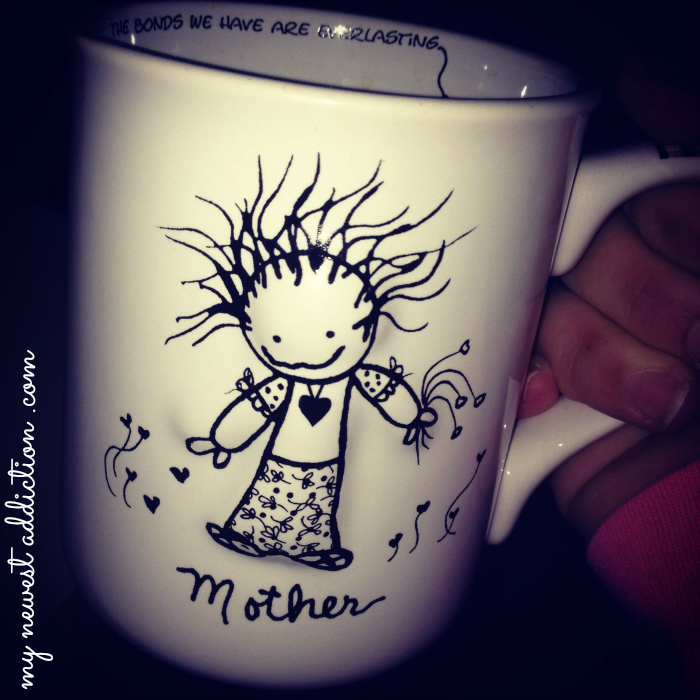 On a sweeter note… My children gave me (my husband got me a gift from my children) the most adorable coffee mug! There is a touching quote on the back, but the mommy figure is actually bubbled out on the mug. I can’t tell you how excited I was! I woke up early with my daughter that morning and I was giving her a bottle… my husband strolled into the room that our Christmas tree was in with coffee in this mug. I am an emotional person and I couldn’t help it, I let out a single tear! Just so sweet! My favorite gift and the most touching gift really perfected Christmas for me this year! Other things to note… My mom got me the Hyperbole and a Half hardback book. 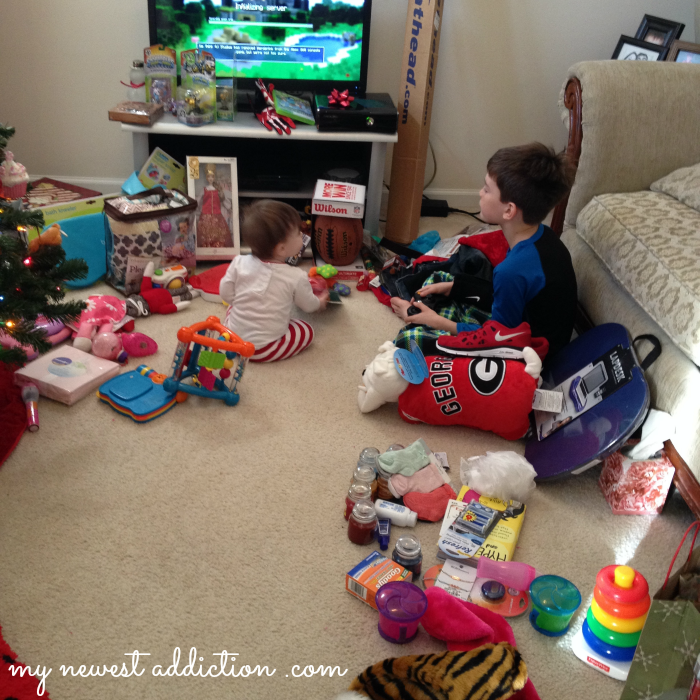 :D In “Where’s Waldo” fashion, 10 points if you can find it in the piles of messiness. If you find it, describe where it is in in the comments! 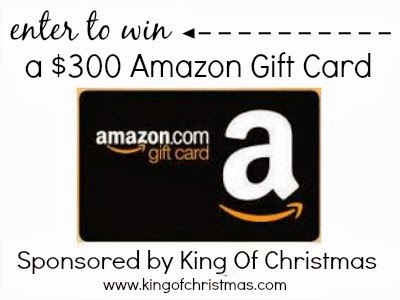 King of Christmas is sponsoring this giveaway for a $300 Amazon Gift Card! If you haven’t ever seen the site, you totally should. Right now he is having a big sale on artificial Christmas trees! If you are looking for a new tree, check out the Artificial Trees, Pre-Lit Artificial Trees, Unlit Artificial Trees, and Giant Artificial Trees! Follow all these lovely ladies on the internet!